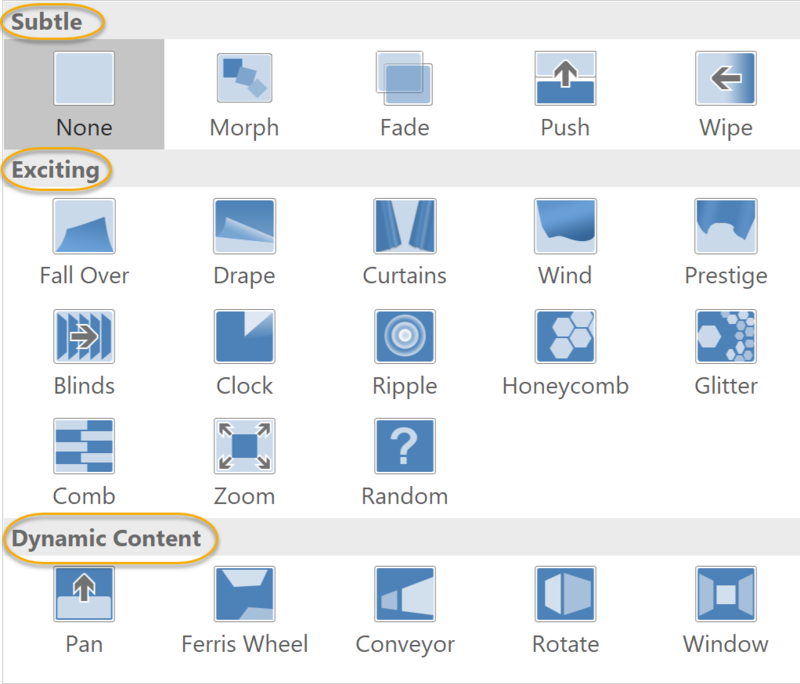 Welcome to our free Introduction to Microsoft PowerPoint Training tutorial. 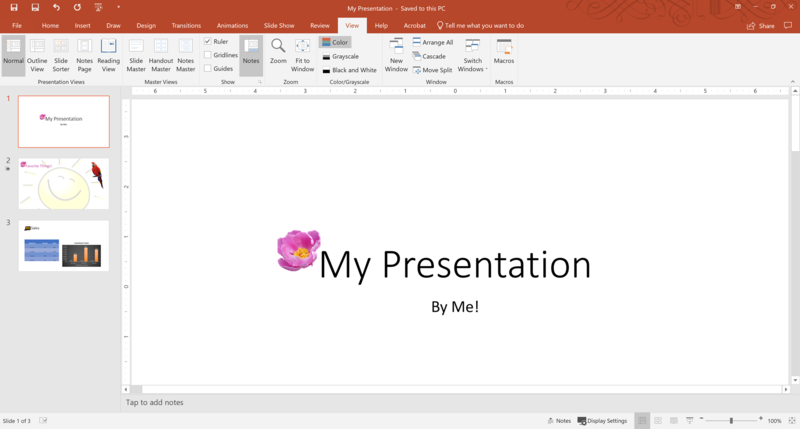 This tutorial is based on Webucator's Introduction to Microsoft PowerPoint 2019 Training course. After you've added the content you need, you should finalize your presentation. Check spelling in your presentation. Access different views of a presentation. Divide a presentation into different sections. Add transitions to a slide. As in other Microsoft Office applications, PowerPoint includes a spelling checker. On the Review tab, in the Proofing group, click Spelling . If you have spelling or grammatical errors, you are prompted to correct them. Follow the prompts to make corrections. 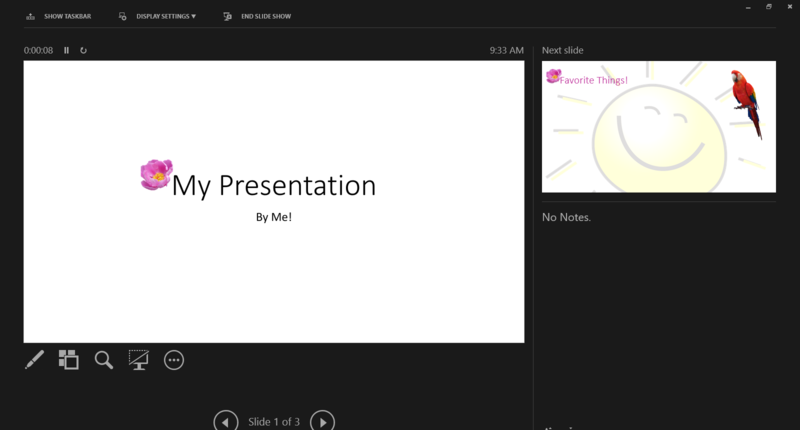 PowerPoint notifies you when all spelling and grammar issues are addressed. The spell check tool in PowerPoint functions the same as the tool in Microsoft Word. For more information on spell check and other grammar-related tools, refer to the Microsoft Word 2019 course. Normal - The default view when working with a slide. 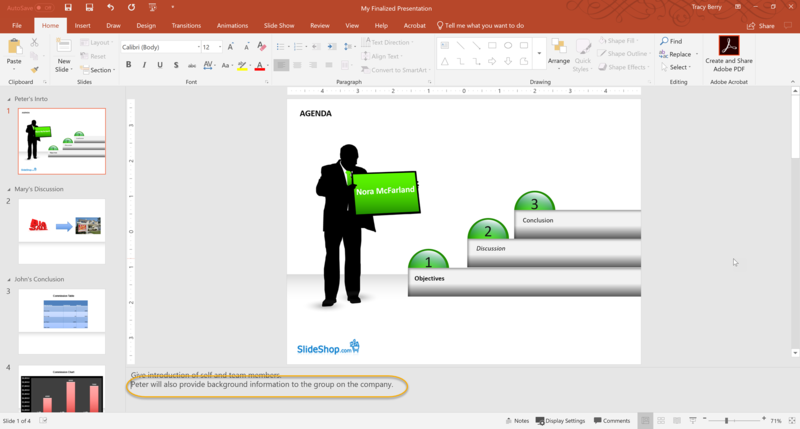 Outline View - Displays only the text of your slides; use it to create an outline of your presentation (not an option in this group in PowerPoint 2010). Slide Sorter - A view of all slides in the presentation. Notes Page - A view of the selected slide and its associated speaker notes. 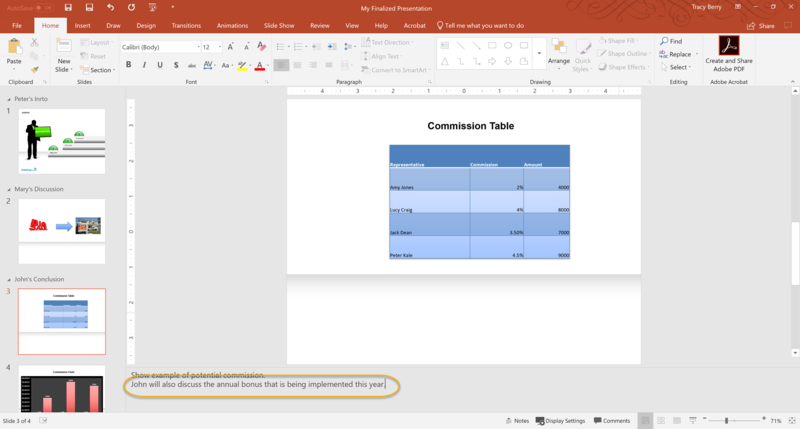 Reading View - A full-screen preview of your presentation contained within the main application window. 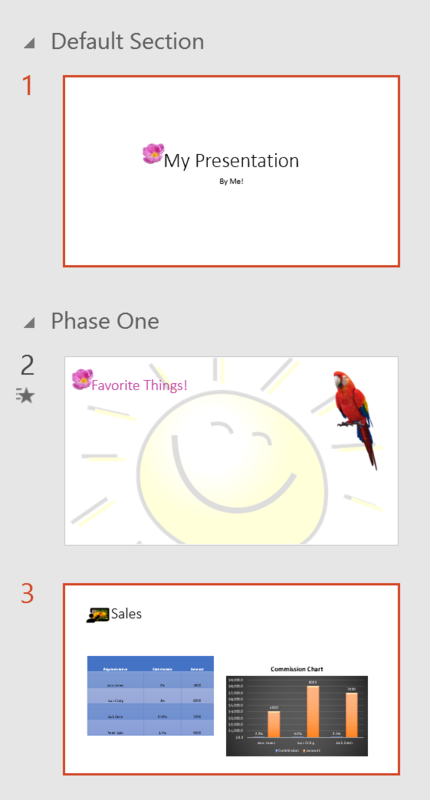 In past iterations of PowerPoint, Presenter View was often difficult to work with. 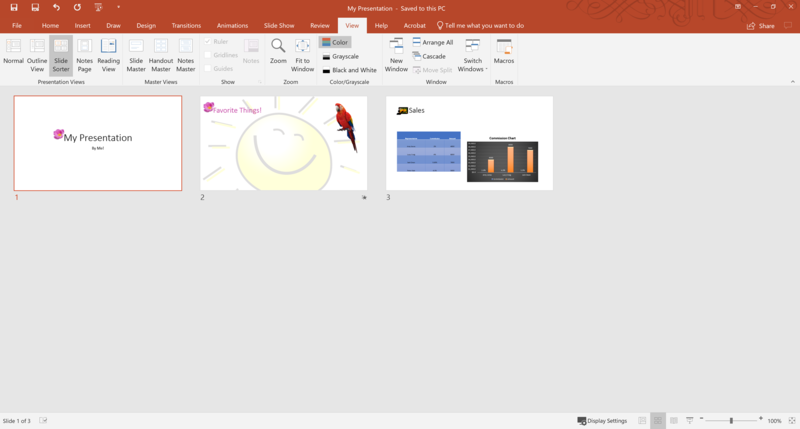 Beginning with PowerPoint 2013, Microsoft made Presenter View easier to use to present your slideshows. When you launch Presenter View with multiple monitors set up, it automatically displays your notes on one monitor while your audience sees only your slides. You can also configure Presenter View for use on a single monitor. Click the Slide Show button in the status bar. Scroll to the lower-left area of the presentation and select the icon of three dots in a circle. From the menu that appears, select Show Presenter View. 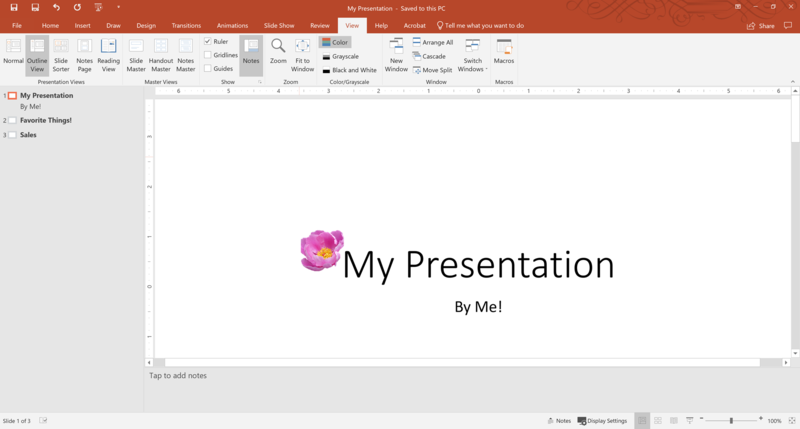 Your presentation is now displayed in Presenter View. 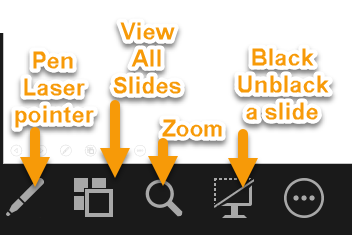 Use the controls to use a laser pointer or pen, view all slides at once, zoom in to a slide, and hide/unhide the current slide in the presentation. The next slide and notes for the current slide appear on the right. To change which view will face the audience, click Display Settings in the upper left, and then select Swap Presenter View and Slide Show. To exit Presenter View, press Esc. 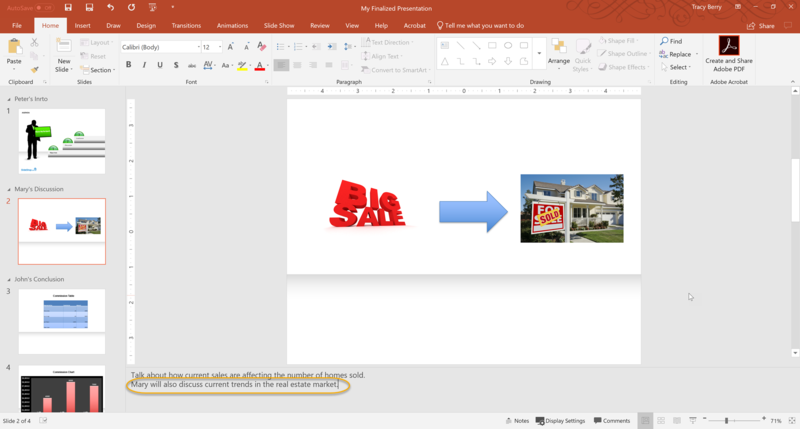 New to PowerPoint 2019 is the ability to advance slides in a slideshow Surface pen or any pen with Bluetooth enabled. You may want to change your presentation view from color to grayscale. It is useful to view your presentation in grayscale if you are going to print black and white printouts or if your audience might do so. Select the View tab of the Ribbon. In the Color/Grayscale group, select Grayscale, or select Black and White to view your presentation in black and white. To change the view back to Color, select Back To Color View from the Grayscale or Black and White tab. 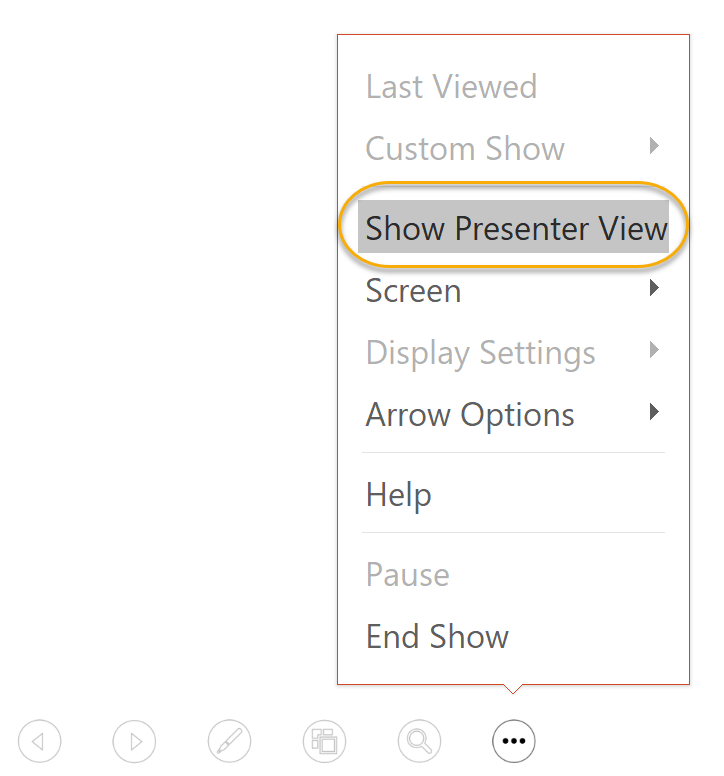 On the View tab, you can set page setup options for your presentation. From the Zoom group, select Zoom and then in the Zoom dialog box, select a Zoom to option and click OK. 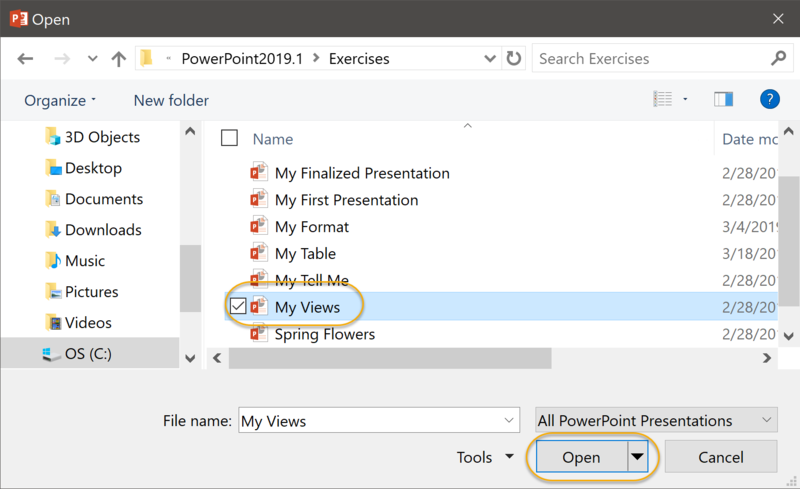 Using the File menu, open the "My Views" presentation from the Webucator/PowerPoint2019.1/Exercises folder. 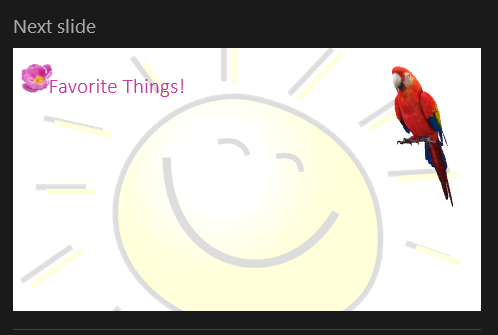 Slide Sorter - On the View tab, in the Presentation Views group, select Slide Sorter. Notes Page - On the View tab, in the Presentation Views group, select Notes Page. Reading View - On the View tab, in the Presentation Views group, select Reading View. Close the presentation without saving changes. 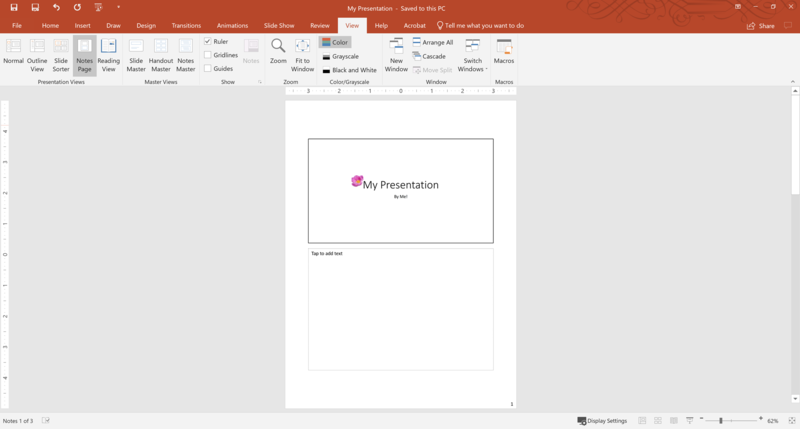 In this exercise, you will open a presentation and use the various presentation views in Microsoft PowerPoint. Organizing a presentation in sections helps you keep track of distinct parts of the presentation and different speakers. Rather than use several separate presentations, consider dividing a long presentation into multiple defined segments. Ensure that the presentation is in Normal view. 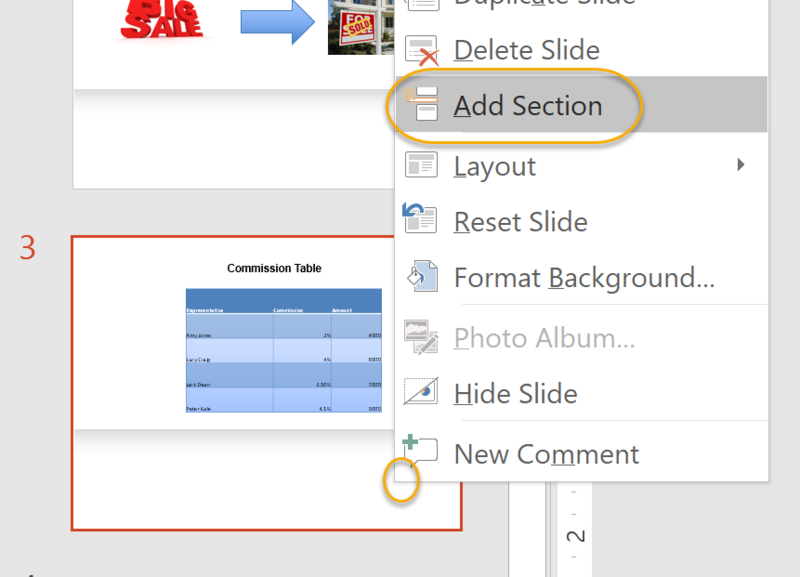 In the Slides tab, right-click on the first slide you want in the section and select Add Section from the context menu. By default, Microsoft PowerPoint names the section "Untitled Section". 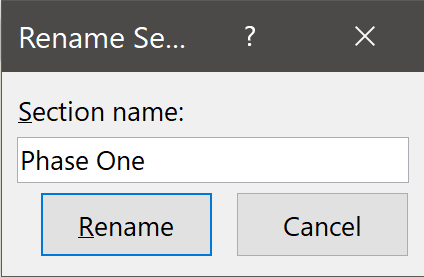 Rename the section using the instructions which follow. 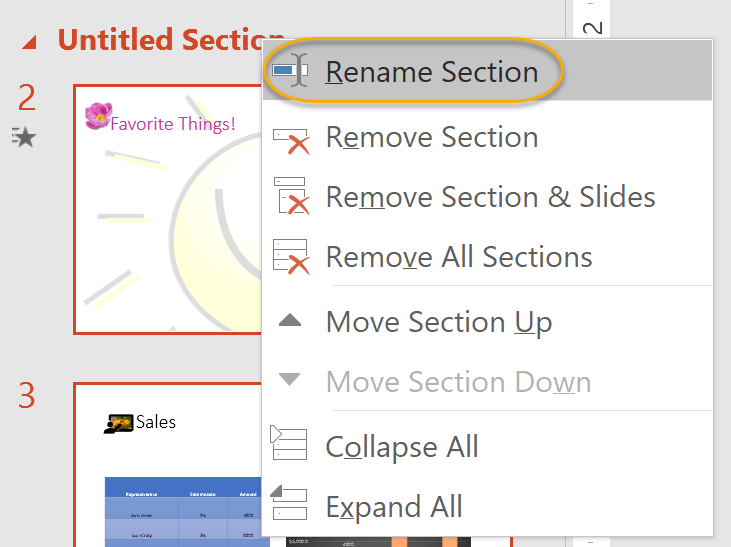 Right-click on the section name and select Rename Section from the context menu. Enter a new name in the Section name field. 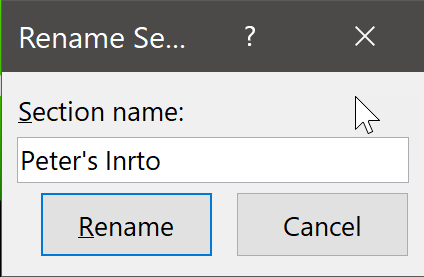 Click Rename. Adding transitions to slides can provide additional visual interest and variation in your presentation. On the Transitions tab, in the Transition to This Slide group, click the down arrow to reveal the transitions gallery. Select the transition to add to your slide. The transition is applied to the slide that is highlighted in the Slides tab. After you apply a transition to a slide, an icon below the slide number indicates the presence of the transition. On the Transitions tab, click Preview to preview the transition. 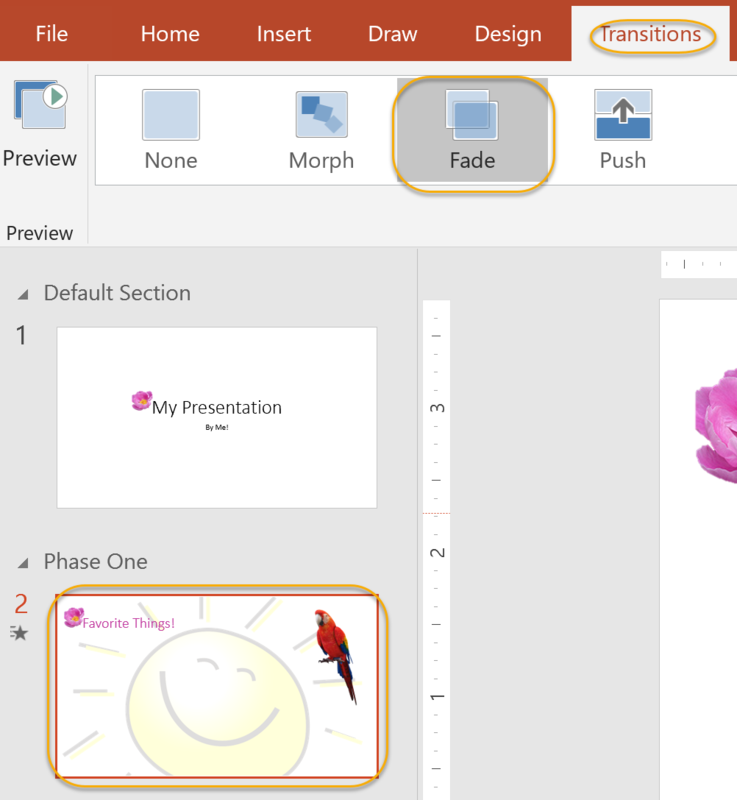 To set the timing for transitions added to your presentation, from the Transitions tab, from the Timing group, set the transition's duration using the Duration box. You can add different transitions to your slides. Select each slide and add a transition to each one. You can change the options for the transitions that you add to slides. 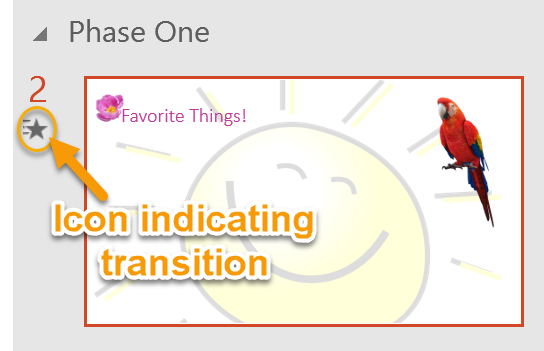 With the slide containing the transition selected, select the Transitions slide. In the Transition to This Slide group, select Effect Options. This drop-down contains different effects pertaining to the selected transition. Select an option to modify the transition. Adding speaker notes to a presentation helps with organization and provides a tie between speaker information and specific slides. Ensure that the presentation is in Normal view. 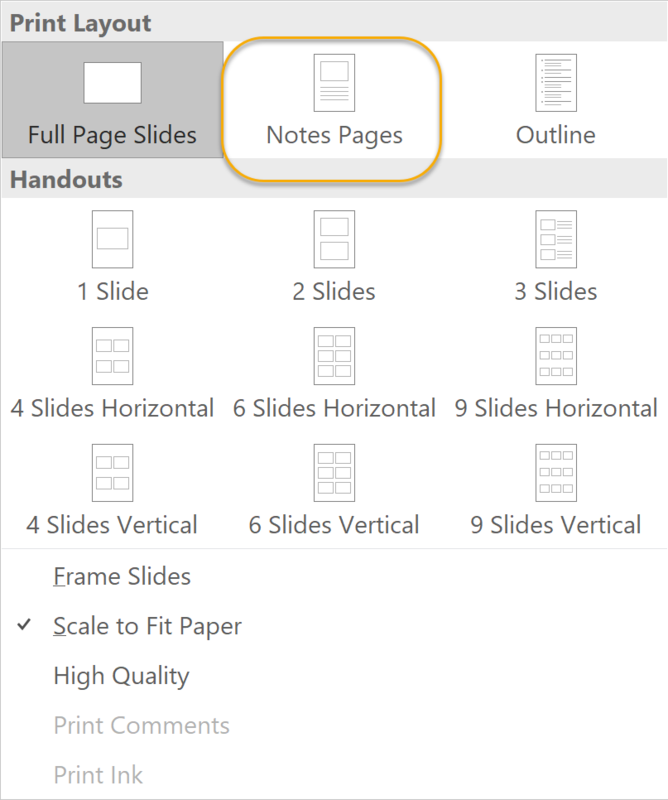 In PowerPoint 2013, if necessary, click COMMENTS in the status bar at the bottom to bring up the Notes pane. Enter text in the Notes pane. After creating your speaker notes, you can print them. From the File menu tab, select Print. Under Settings, select the second drop-down arrow. Under Print Layout, select Notes Pages. After you build and polish your presentation, you'll want to practice it and, finally, present it. 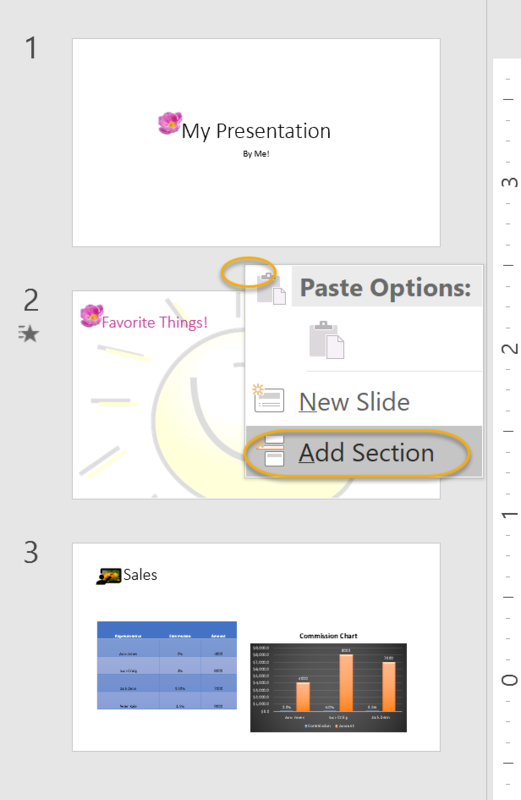 Click the Slide Show icon located at the bottom right side of the PowerPoint window. Once the slide show starts, you can press the Space Bar to advance through the slides. To exit the slide show presentation, press Esc. 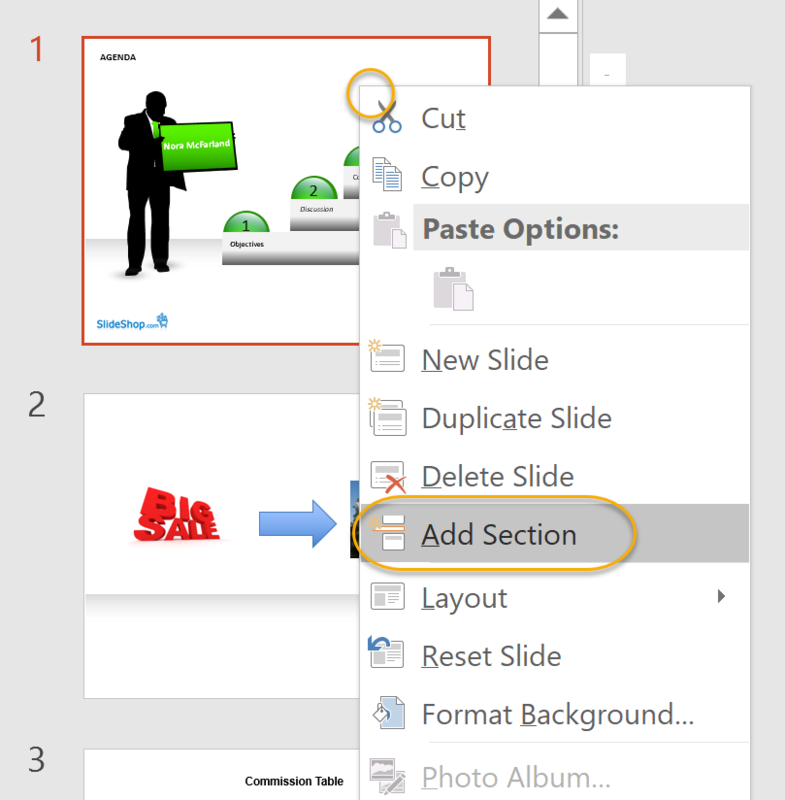 Tip: Your slide show will start with the slide that is currently selected in the Slides tab. 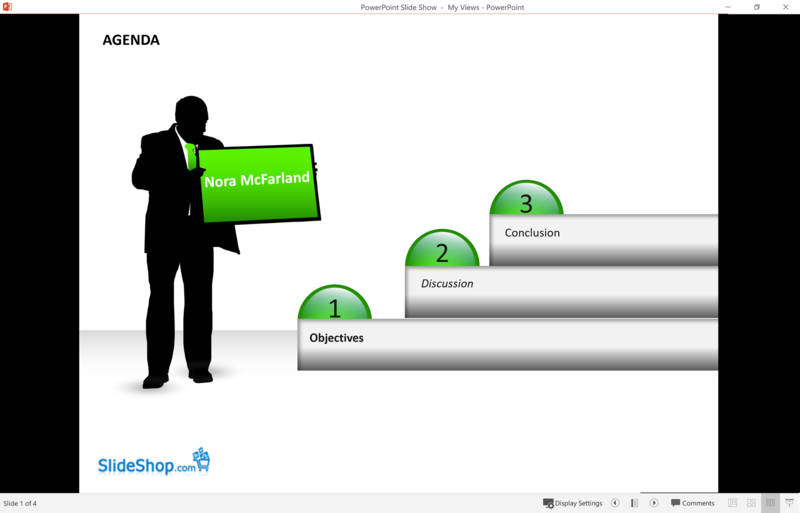 To start from the beginning of your presentation, go to the first slide, or click the Start from Beginning button at the top. 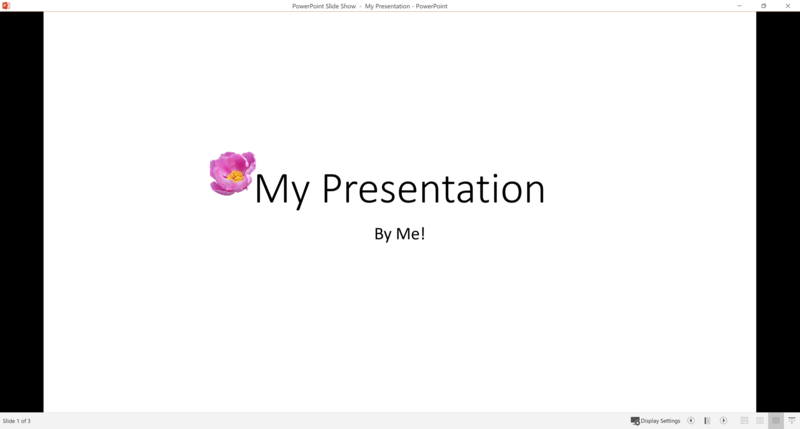 You can set the resolution of your presentation to optimally display when presenting. Select the Slide Show tab, and from the Set Up group, select Set Up Slide Show. 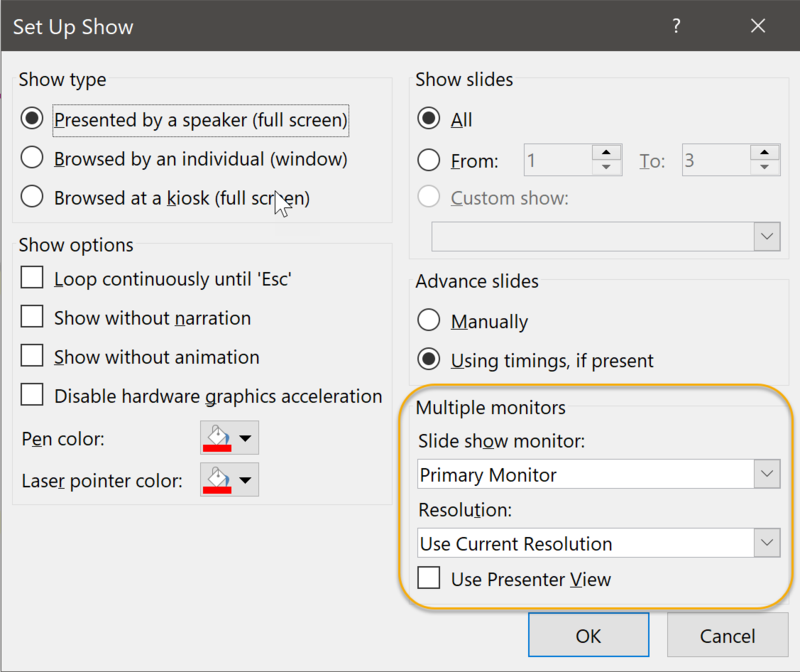 Under Multiple monitors, select Primary Monitor from the Slide show monitor drop-down list. 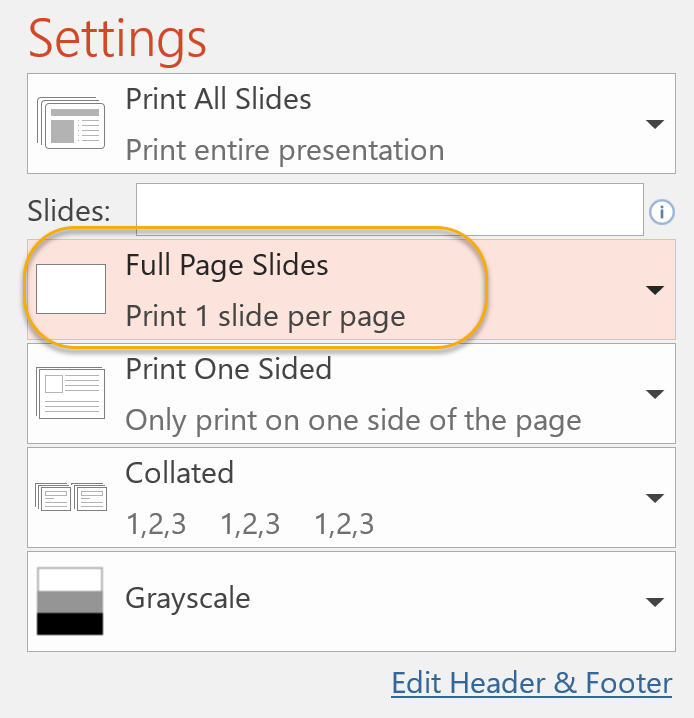 From the Resolution drop-down list, select a resolution or select Use Current Resolution, and then click OK.
Microsoft PowerPoint provides many options for printing your presentation and slides. 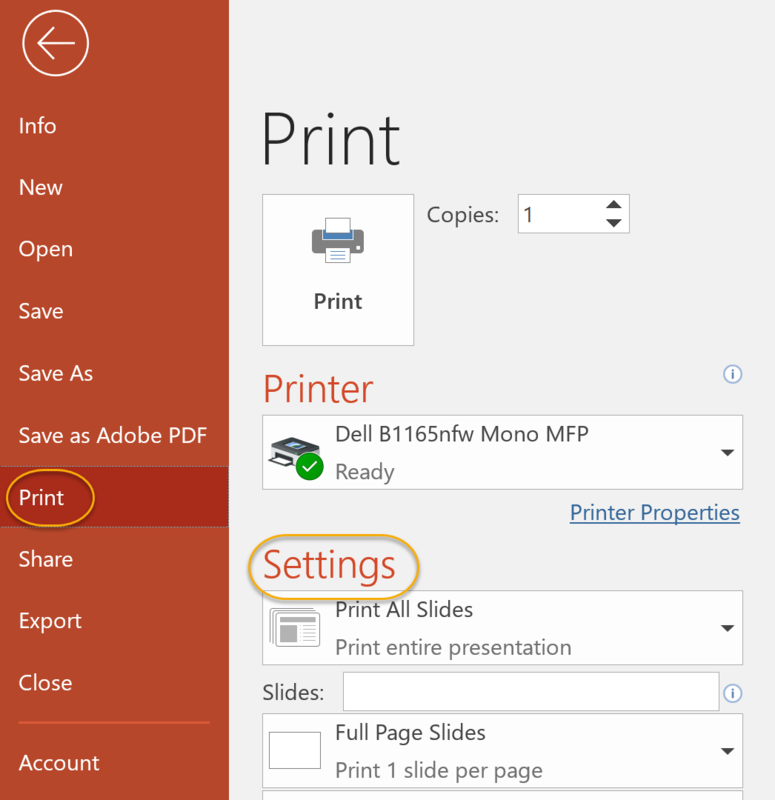 In the Print pane, select a printer and specify what to print and how to print it. 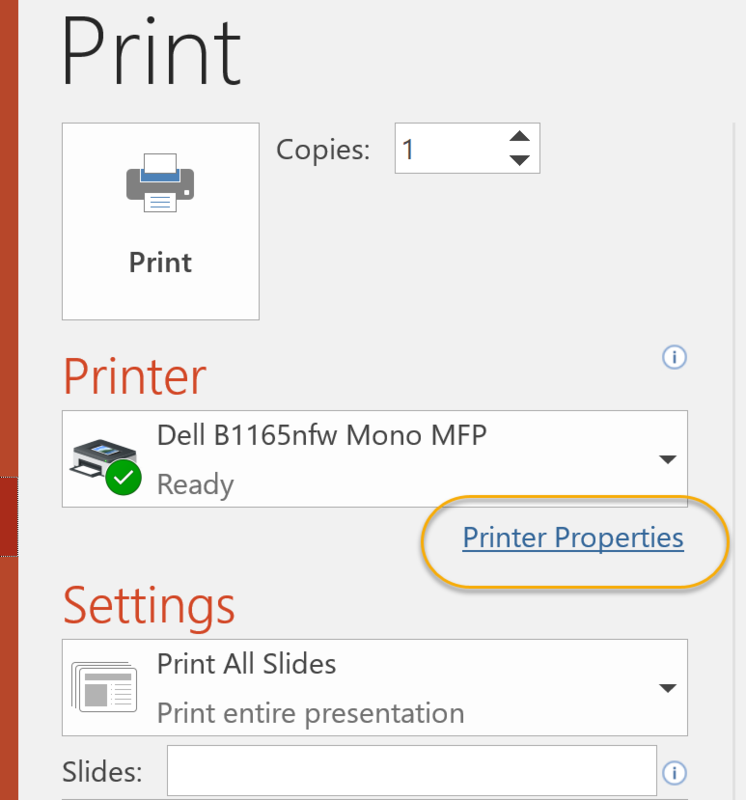 The right pane shows a preview of your print job. 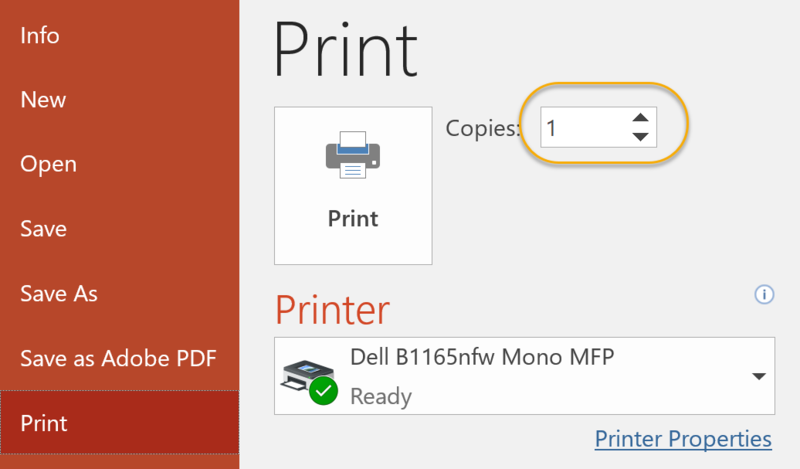 Select the number of Copies to print. 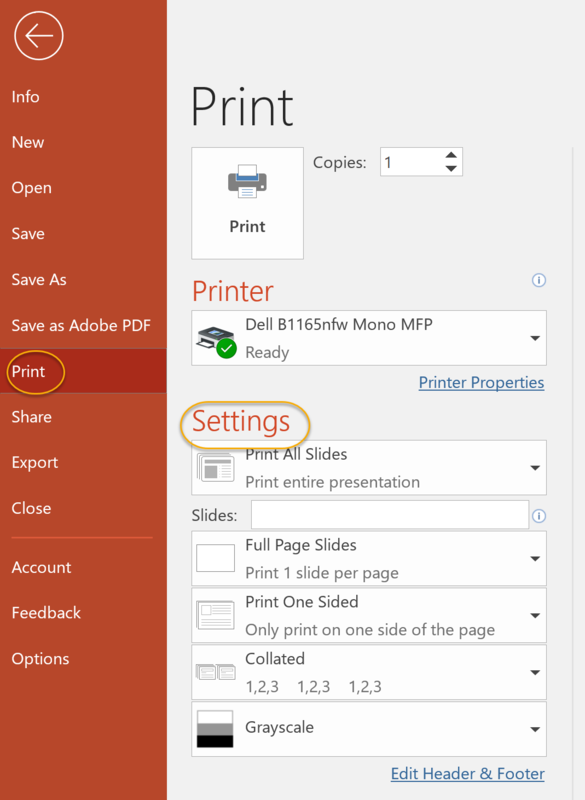 To change page setup options, under Print, click Printer Properties and modify the options in the dialog box. 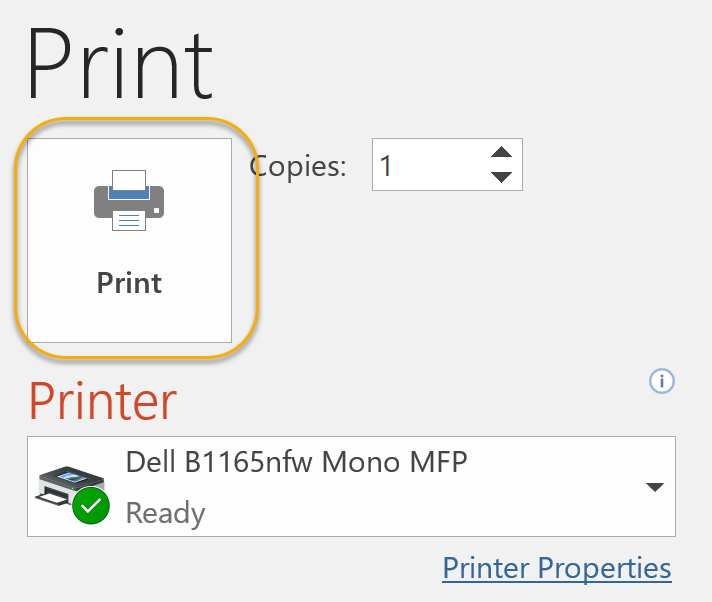 Note: You can access more print options by clicking the Printer Properties link. 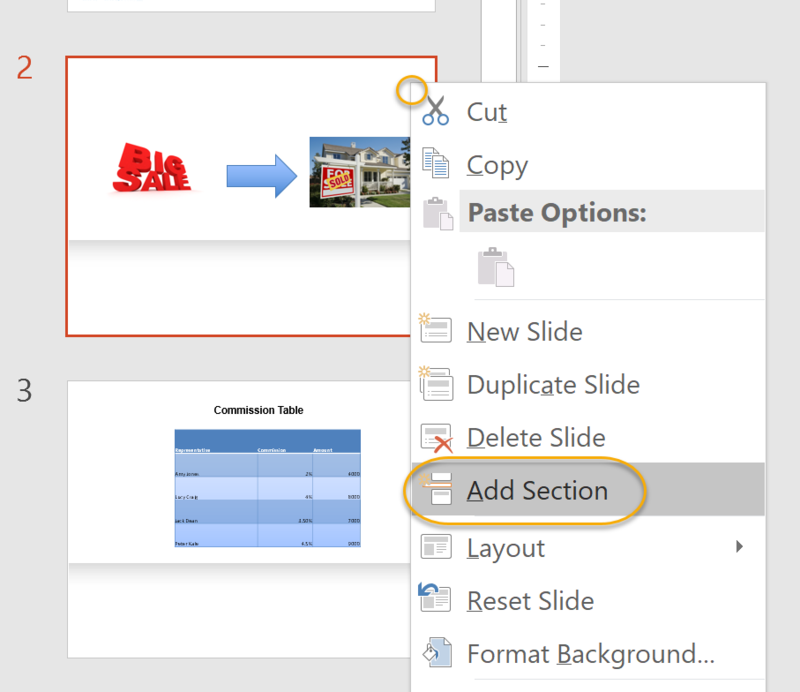 You can print only certain slides in your presentation. 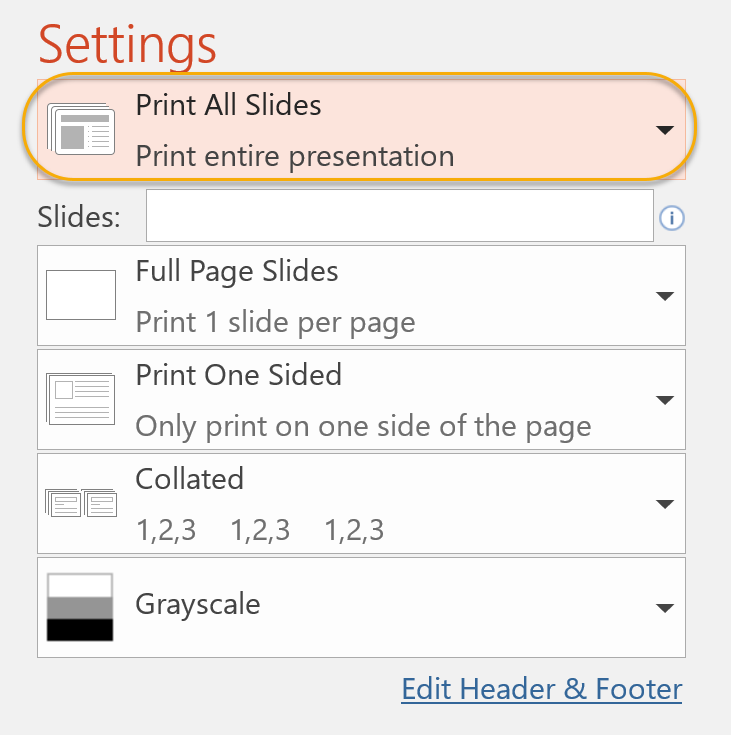 First, on the Slides tab, select those slides you want to print. 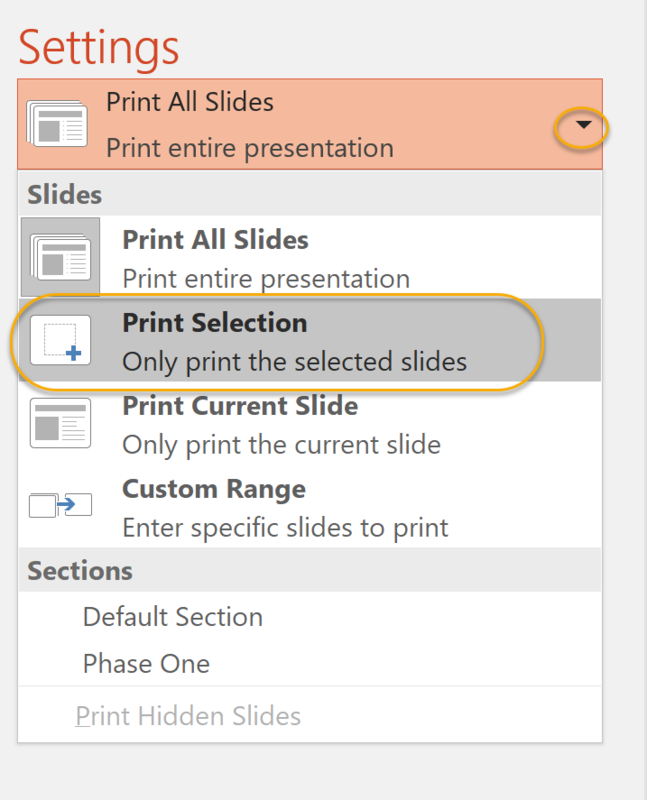 Press and hold Ctrl to select multiple slides. Select the first drop-down under Settings. From the options, select Print Selection. 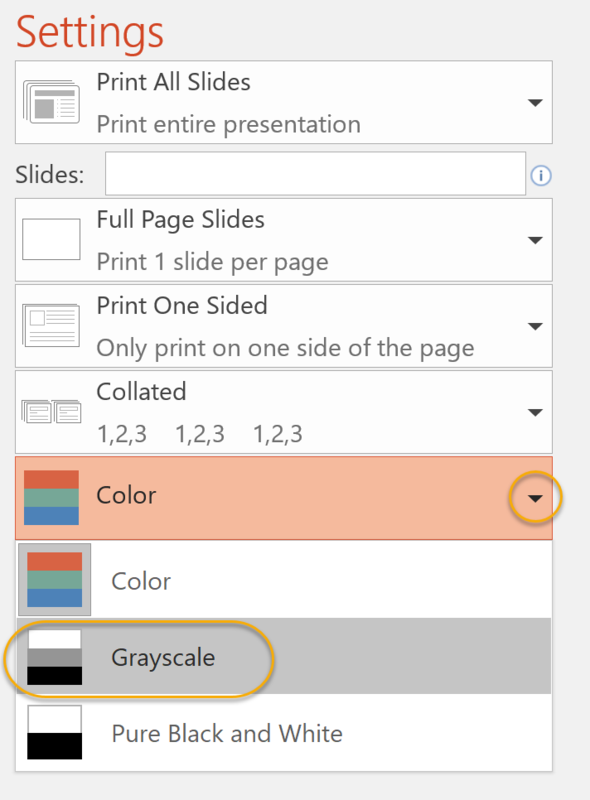 To print your presentation in grayscale. 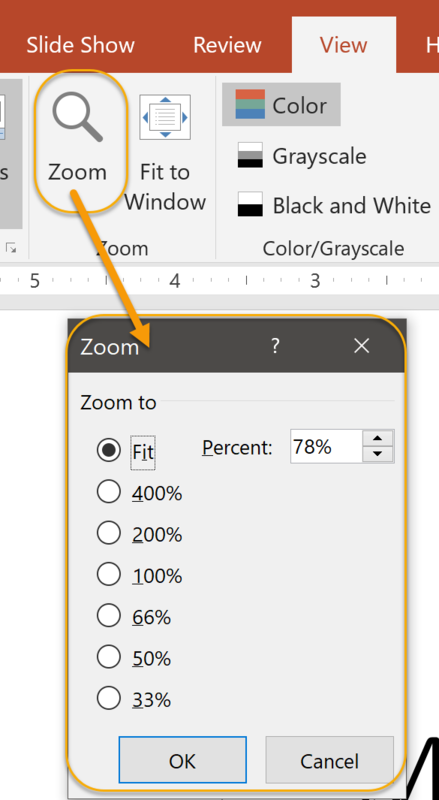 in the Print section, under Settings, select the Color drop-down and select Grayscale. 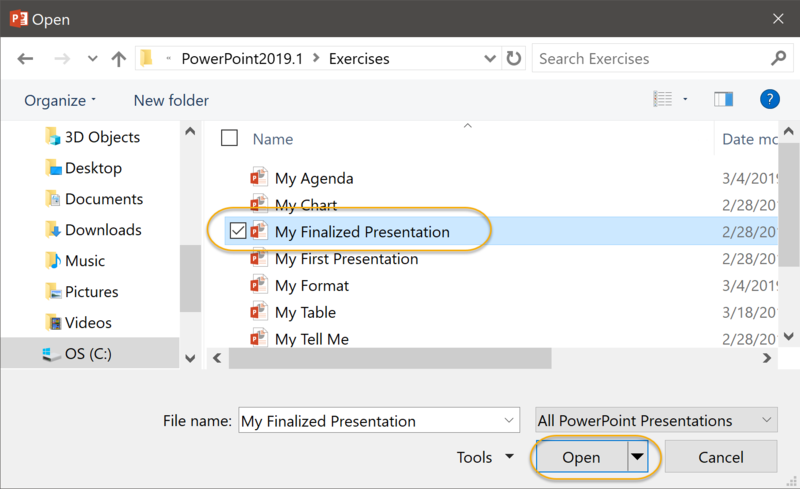 Using the File menu, open the "My Finalized Presentation" file from the Webucator/PowerPoint2019.1/Exercises folder. Right-click on the first slide and select Add Section. Right-click on Untitled Section and select Rename Section. Rename the section "Peter's Introduction". Click Rename. Right-click on the second slide and select Add Section. 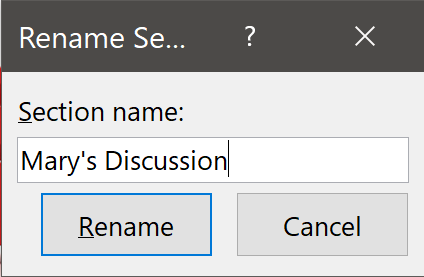 Rename the section "Mary's Discussion". Click Rename. Right-click on the third slide and select Add Section. Rename the section "John's Conclusion". Click Rename. Slide 1: Peter will also provide background information to the group on the company. Select the first slide in Peter's Introduction. Click in the Notes pane and type "Peter will also provide background information to the group on the company." Slide 2: Mary will also discuss current trends in the real estate market. Select the first slide in Mary's Discussion. Click in the Notes pane and type "Mary will also discuss current trends in the real estate market." Slide 3 and 4: John will also discuss the annual bonus that is being implemented this year. Select the first slide in John's Conclusion. Click in the Notes pane and type "John will also discuss the annual bonus that is being implemented this year." Save and close the presentation. 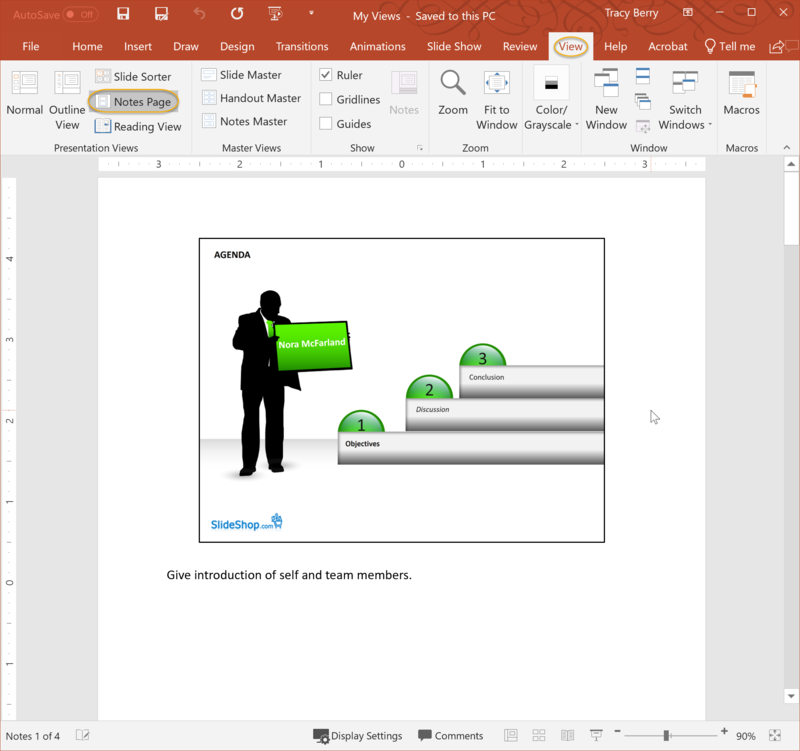 In this exercise, you will add speaker notes and sections to a presentation. Slide 3 and 4: John's Conclusion.